Rosemary McLeod rose to prominence in the 1970s, when she was responsible for some of the most popular satirical cartoons of the period. She was a regular contributor to The Listener magazine, and wrote for Wellington's Dominion and Sunday Times. In the mid 70s McLeod became a news reporter for state television, which led to a short stint as a writer on Close to Home and contract comedy work for ABC in Australia. She then went on to write scripts for TVNZ, including Television One's All Things Being Equal, a sitcom which was unusual in that it was broadcast live from Avalon Studios (comedies are often filmed in front of a studio audience, but are usually edited before going to air). The cast included Ginette McDonald and Bruno Lawrence, and satirised late 70s gender politics. In the early 1980s, McLeod wrote for TV dramas Country GP and Seekers as a freelance writer. McLeod's most notable role in the screen industry is as devisor, story-liner and main writer for Gloss (1987 - 1990), the iconic soap known for its distinctive style and wit. Described as "New Zealand's own Dynasty," Gloss centred on the Redfern family and their publishing empire. Impressed by the "acerbic wit" of her columns, Gloss producer Janice Finn contacted her to get her on board. "She wrote the format," said Finn, "having all the magazine background, of course, Rosemary was brilliant." Gloss ran for three seasons, sold around the world and was awarded Best New Zealand TV Drama for 1989. After Gloss, McLeod worked briefly in advertising, before returning to journalism. For many years she has written a syndicated column for the Sunday Star Times, and later, the Dominion Post. McLeod is an avid collector of handcrafts. Her extensive collection of women's handcrafts has been the basis of a number of exhibitions and books, including Thrift to Fantasy: Home Textile Crafts of the 1930s-1950s, which won the history category in the 2006 Montana Book Awards. 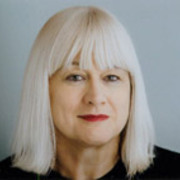 Other awards McLeod has won include the Pen First Book of Prose (1976), the Jubilee Prize for Investigative Journalism, and Qantas Feature Writer of the Year (five times, in 1986 and 1990 - 1993). She has also written satirical novel A Girl Like I (1976), Thank You for Having Me (1979) and The Rosemary McLeod Bedside Book (1981). From 1995 to 2000 she was a member of the Broadcasting Standards Authority, and also spent time as a judge of the MovieFest short film competition.